Costco is like a playground for me and once a while I find pretty good quality ingredients there. Usually I would pick up some organic pasta and chicken stock, but this time, I saw a rare find in the frozen food section - cavatelli pasta frozen and shipped from Italy. Of course I'm not going to let these semolina goodies go. Brought them home and figured a hearty soup should work really well for this type of small pasta shells. Ingredients (about one big pot)? Prepare a medium pot and pour in the chicken stock. Warm up the stock on the side. Prepare a big pot of water and generously add some salt in it. Once boiling, pour in the cavatelli pasta and cook till al dente but leaning towards the chewier side. We will finish cooking the pasta when adding them to the soup. Once ready, drain and set aside for later use. Try to time it well so the pasta is ready when the soup is ready too. Peel and cube the onion, peel and cube the carrot, cube the celery. Tear the spinach into smaller sections if needed. Take a big non-stick soup pot and drizzle about 2 tablespoons of olive oil. Bring to medium high heat. Sprinkle 1/2 teaspoon of salt and 1/2 teaspoon of black pepper. Give it a quick stir and wait till the onion turns translucent. Add in cubed veggies. You can also add in the peas now if a softer bite is desired, otherwise, add the peas towards the end. Add another 1/2 teaspoon of salt and give it a stir. 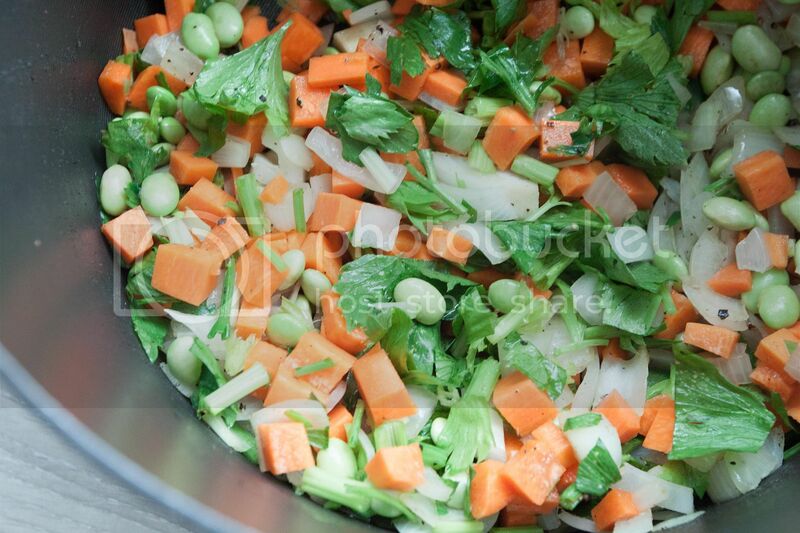 Cook till these veggies softened, it should take a few minutes at least. Add in ground chicken and gently stir-frying the mixture to help breaking up the meat. Otherwise the ground chicken might stick together and turn into tiny meatball-like sizes. Once cooked through, pour in warm stock then bring to a boil. 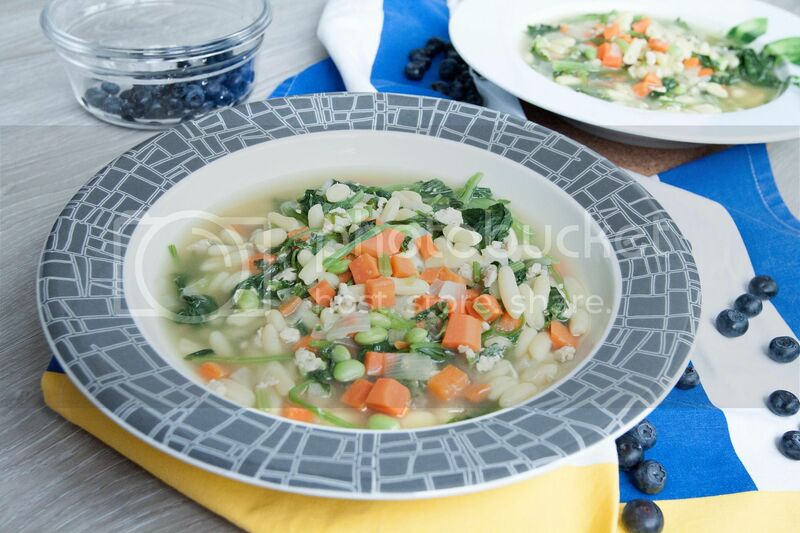 Add in spinach and cooked pasta. Bring to a boil again then lower the heat to keep it at a simmer. 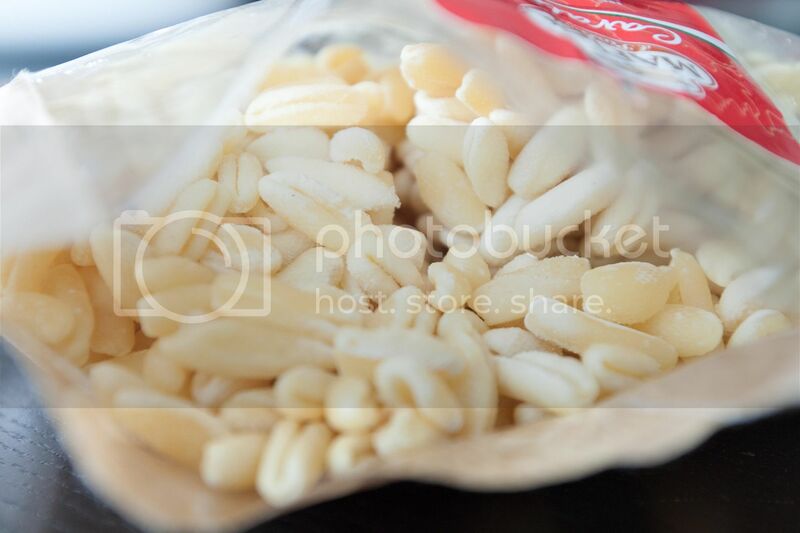 Cook till cavatelli reaches your desired texture. Taste and adjust the flavor with salt and pepper. You can add some lemon zest and turn off the heat right away. 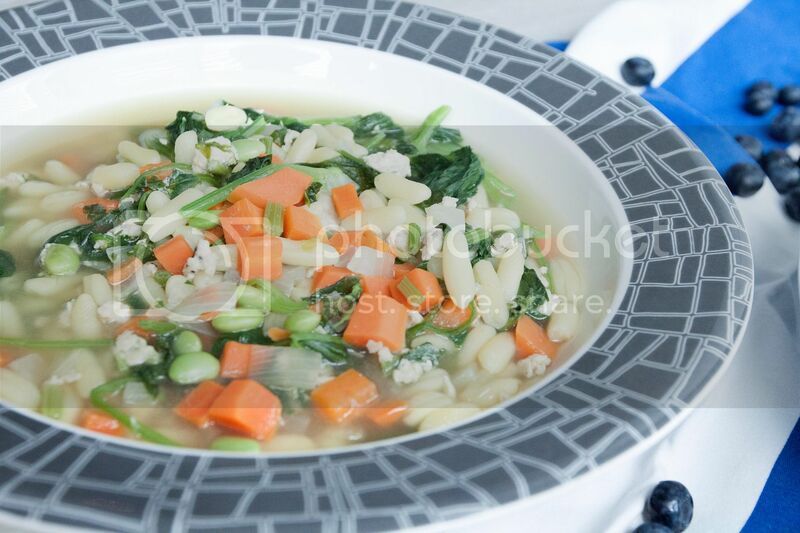 It will brighten up this hearty soup. 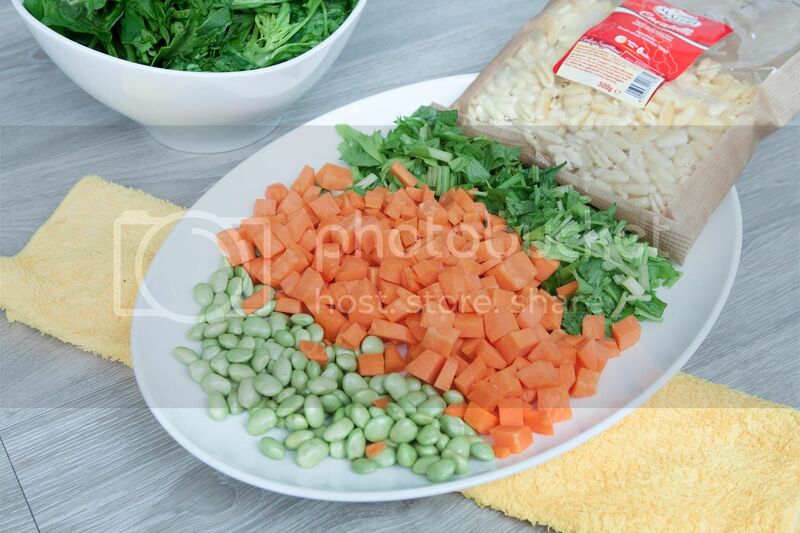 You can also grate some Parmigiano Reggiano when serving the cavatelli soup. It will add another layer of umami yumminess. This recipe should be enough to feed 6 hungry people when paired with some bread or sandwich. Perhaps some blueberries for a light and sweet ending? I also like to eat it with extra freshly ground black pepper a few dashes of Tabasco. Hearty plus spicy make a great combo in my opinion.